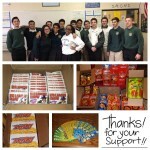 18 boxes were sent by our Adopt-a-Platoon committee during Super Bowl Weekend. We will be collecting additional items during the March 17th Squadron meeting at the Post. Please bring items to the Post for donation to our adopted platoon if you cannot make the monthly meeting. Our platoon continues to benefit from the generosity of corporate sponsors and friends Squadron 283. 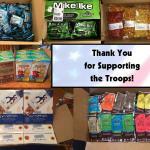 And now it’s time for our November care packages: can you help? Thank You From Our Adopted Platoon! 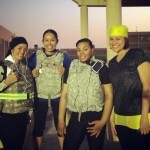 We have a new platoon deployed in Kuwait until March 2015! 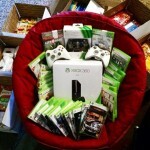 At their request, we were able to send them an Xbox 360, extra controllers, and a lot of games in addition to the usual supplies! While waiting to be assigned a new platoon, Neal Conners and Nicky Casalenuovo have formed an Adopt-A-Platoon club at Saint Monica High School to help support our efforts and to raise student awareness for our U.S. military. Students were able to contribute some green-packaged products for our last St. Patrick’s Day packages and will also help in the coming months with writing morale-boosting cards and letters.